If you're a fan of Mercedes' luxury, these epic five RVs will blow your mind. 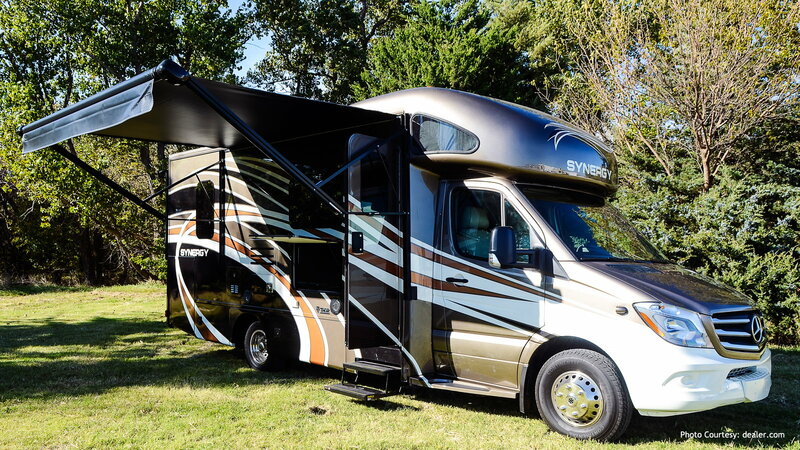 Built on the Mercedes-Benz Sprinter's chassis, this Class-C motorhome will make you want to travel tomorrow. This RV has everything that you need, a few things that you don't, and everything in it will make your travel extremely enjoyable. The Synergy is powered by a durable diesel engine, and it features all the necessities, like plenty of storage compartments, leatherette furniture, and a solid surface kitchen, as well as features all the elegant touches, like the touch-screen dash radio, Euro-skylight living area, and a water filter system. If want to travel in style, it's hard to top this motorhome. 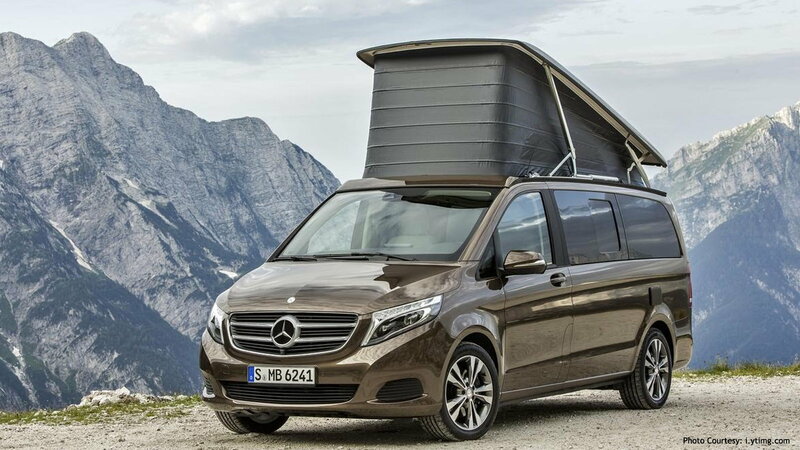 >>Join the conversation about these epic Mercedes-Benz RVs here in the MBWorld forum. The Citation Sprinter is a solid, yet lightweight RV. It is built from a combination of aluminum steel, mixed with fiber-glass. Unlike most RVs, this motorhome is completely quiet inside when driving. The Citation Sprinter allows you to tow up to 5,000 pounds, so you don't have to leave your boat at home. And as per Mercedes' reputation, the Citation has all of the safety features that will give you a peace of mind on your travels, like the back-up camera, as well as all the comfort options you deserve, such as the automatic awning with a light strip. As for the engine, you won't have to worry about uphills with this BlueTec Diesel engine, which develops 188 horsepower, and with this lightweight motorhome, 188 HP will go a long way. If you want to feel at home, the Siesta will do just that. 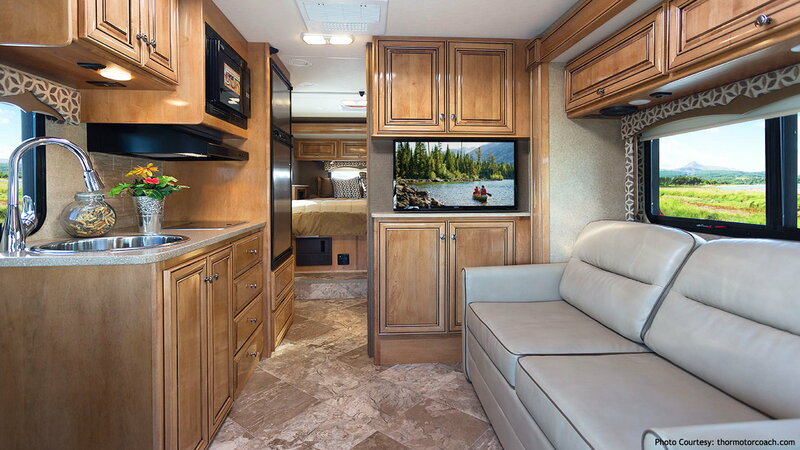 This RV has residential vinyl flooring along the whole interior, heavy-duty leatherette furniture, and built-in LED ceiling lighting. The kitchen features laminate countertop, and it makes perfect use of its small space. When you're done driving, use your back-up camera to safely back into your spot, then swivel the driver and passenger seats, and make the living area much bigger. This Class-C, easy to drive, motorhome is also equipped with a diesel engine, so reliability will never be an issue. When it comes to German engineering, we learned not to worry. This motorhome is powered by a six-cylinder BlueTec Diesel engine, which is rated to use 15 mpg in the city, and 19 mpg on the highway. Once you're parked, you'll get to enjoy the Leisure Lounge Plus, an interior as comfortable as our modern technology can reach. In the end of the night, enjoy the large queen-sized bed, the quiet interior, and the fine touches all around the motorhome. 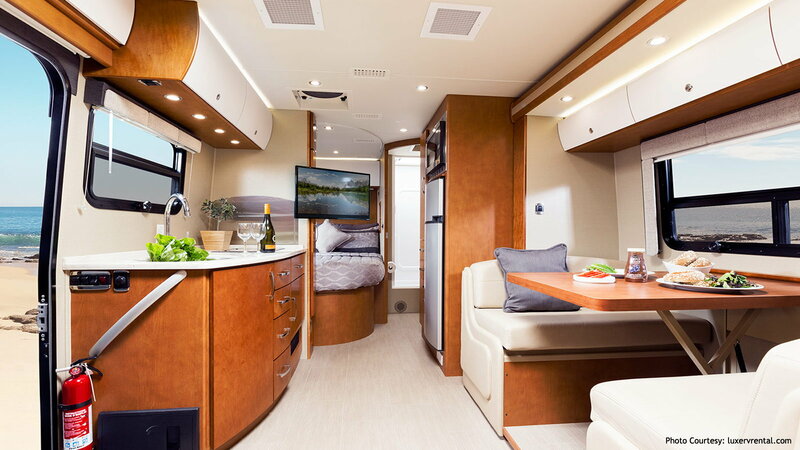 This RV screams luxury, satisfaction, and relaxation. If Class-C RVs are too big for your taste, you can enjoy the same traveling luxury with the Marco Polo RV. The Marco Polo is a Class-B motorhome, and for $69,990, you can make it yours. This small RV features a pop-up roof, which creates the feeling of a much larger living area, as well as a bed large enough for two. Although it is small in size, it is quite capable to make short trips feel enjoyable. The front seats swivel to create a much larger area, the rear seats turn into another bed, and with a quick pull, you can open a large table in the center, big enough to accommodate four people. 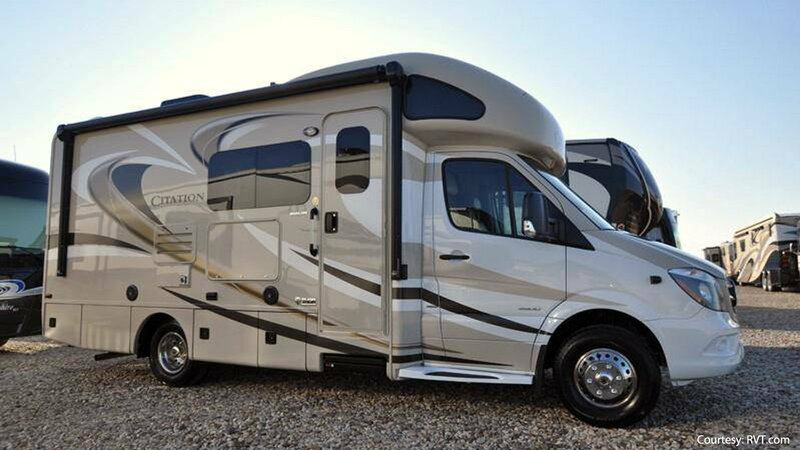 If you want comfort, great fuel consumption, and an easy-to-drive RV, look no further. For information on maintenance of your Mercedes-Benz C-Class or E-Class, take a trip to our How-To section here in MBWorld.org!